As the days shorten and snow starts to fall in the high country, it can be tempting to lament the impending end of bike season. 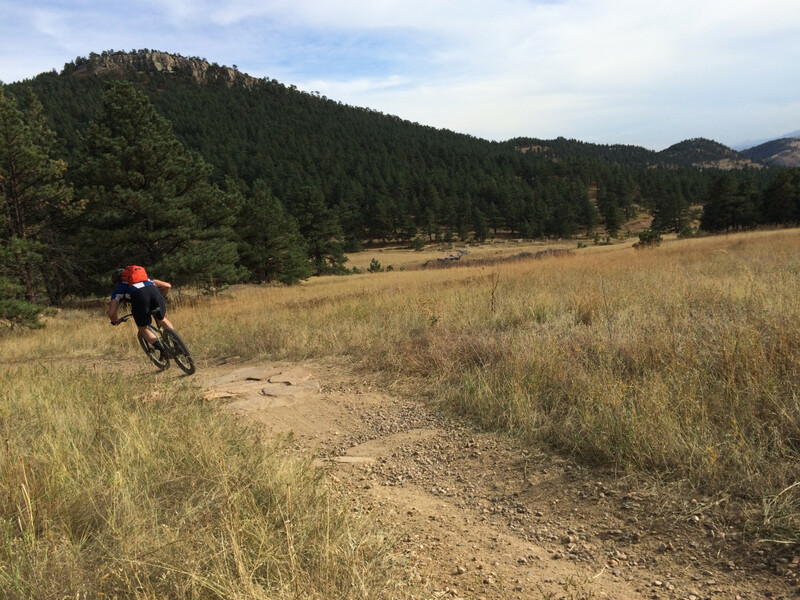 But there’s no need to go into a funk—Boulder has a bounty of lower elevation trails that you can ride all year long. Take to two wheels and explore the beautiful scenery that is so distinct to the foothills, with rocky outcroppings, rolling grasslands, and ponderosa pine forests. 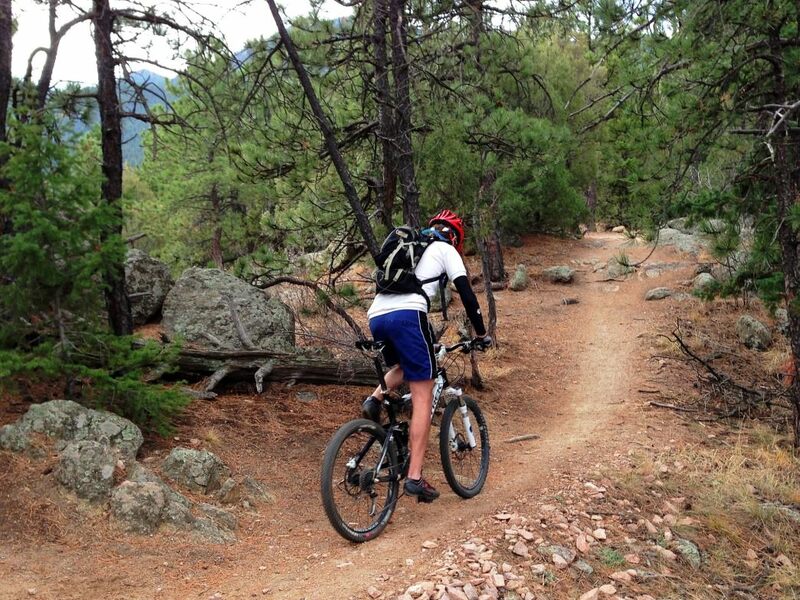 Here, five can't-miss mountain bike rides near Boulder. Drive to these trailheads, or pedal all the way from home to earn the right to add “super” to the name of your ride (aka Super Walker, Super Hall, Super Heil, etc.). Betasso Preserve is a great trail system with flowy singletrack that can make beginning riders feel like superheroes. The main part of the preserve has two loops—the 3.3-mile Canyon Loop and the 2.4-mile Benjamin Loop, which are linked by a 0.75-mile connection. Both loops are easy-going moderate trails that roll along hillside contours, with some not-too-painful climbs. A huge plus about Betasso is that it’s easy to ride straight from home. The 1.3-mile Betasso Link is a steep, rocky trail that connects to Boulder Canyon. At the other end, the 0.8-mile Fourmile Link connects to Four Mile Canyon Road. It includes a rocky section and some stairs, so be prepared for some hike-a-biking unless you’re in trials form. To get to the Betasso parking lot, drive up Canyon Road, turn right on Sugarloaf, and right on Betasso Road. 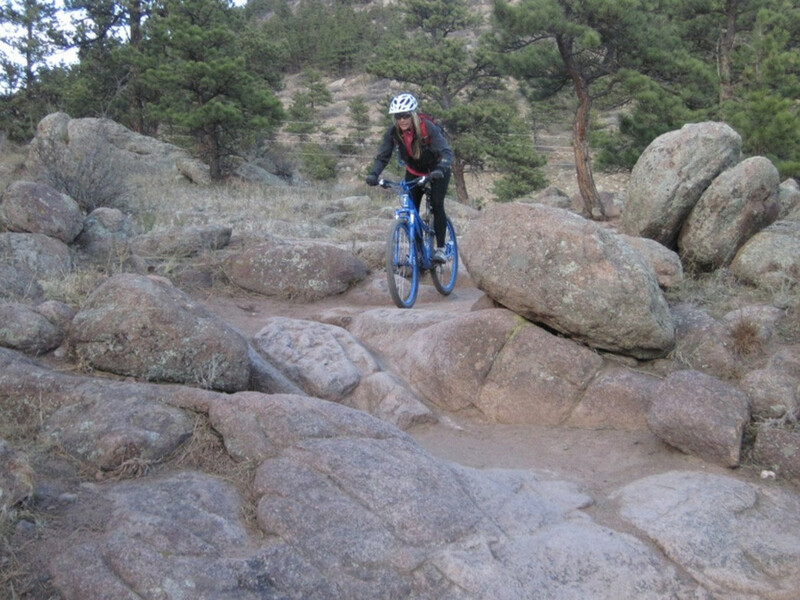 To ride there, bike up the Boulder Canyon bike path. To access the Boulder Canyon connector, continue riding up Boulder Canyon Road until you see a trailhead on the right just before the tunnel. To get to the Four Mile connector, turn right on Four Mile Canyon Road and ride about 3.5 miles up to the large pullout on the left side of the road. (There is no parking here—you have to ride.) Note that Betasso is closed to bikes on Wednesdays and Saturdays. And bikers are required to ride the loops in one direction—clockwise or counterclockwise, depending on the month. Among mountain bikers, Hall Ranch is known for its rock garden, a downright gnar stretch that is one of the best places in Boulder County to test your technical skills (or break an elbow). Advanced riders with cat-like balance can learn to nail it with practice; others have to accept some hike-a-biking. The 3.7-mile Bitterbrush Trail starts from the main parking lot and is fairly mellow at first before hitting this bumpy tangle of rocks and boulders. If you’re not up for the rock garden, no problem: From the north side of Hall Ranch, you can access the Antelope Trail, a much mellower 1-mile climb. Both Bitterbrush and Antelope connect to the lollypop 2.2-mile Nelson Loop, a pleasant spin through the trees that you might want to lap more than once. To get to Hall Ranch, take U.S. 36 from Boulder to Lyons. If you want to ride the rock garden, head for the main parking lot, turn left on Highway 7, and drive 1.2 miles to the trailhead on the right. To get to the Antelope Trail, stay on 36 through Lyons (as if going to Estes Park), then turn left on Apple Valley Road and left on Antelope Drive. 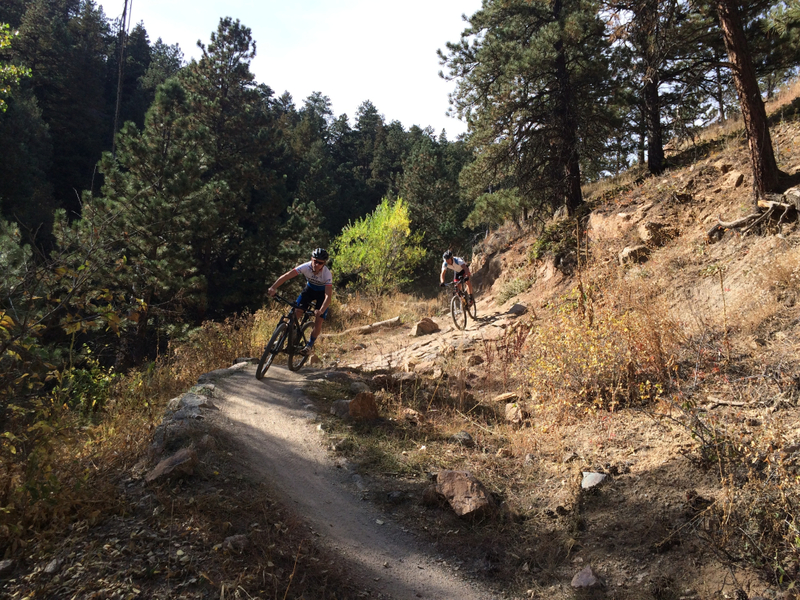 You can get giddy riding the fast, flowy trails at Heil Ranch , as long as you’re willing to contend with some rocks. The trails alternate between fairly smooth and somewhat jarring, with rocks dominating the landscape the higher up you go. Heil offers a few trail options that let you string together a route that suits your mood. All the trails are very rideable (Picture Rock is the most challenging), so you should be able to navigate most of them without walking—maybe just a toe dab here and there. 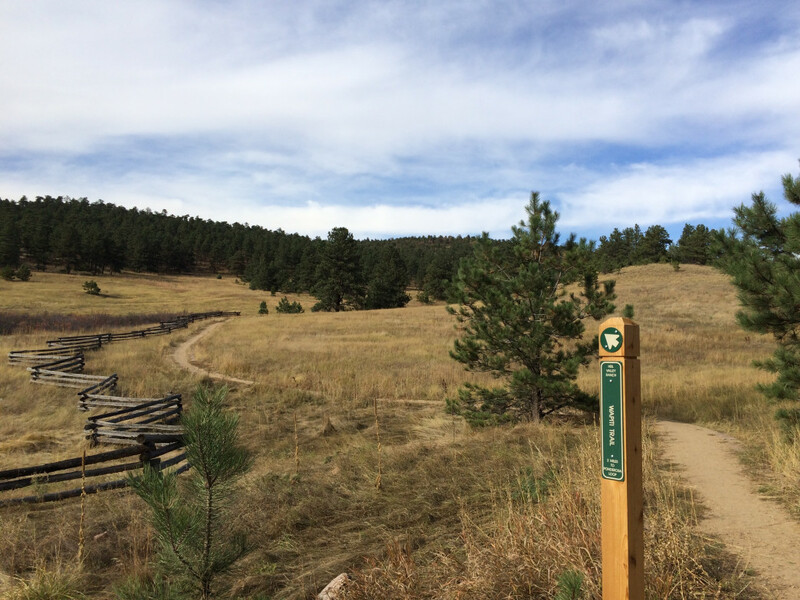 From the main parking lot, head up a dirt road to get the 2.5-mile Wapiti Trail. This climbs at a manageable grade to meet up with the 2.6-mile Ponderosa Loop, which has a lookout bench at the high point where you can stop and take in the views. Ponderosa Loop connects to the 3-mile Wild Turkey Trail. Link these two together for a great ride, or if you want even more mileage, take the 5.2-mile Picture Rock Trail off Wild Turkey. This leads all the way Red Gulch Road outside of Lyons, not far from the Hall Ranch Trailhead. Combine Hall and Heil in one day if you’re feeling strong. To get to the main parking lot, take U.S. 36 west from Boulder (toward Lyons). Turn left on Lefthand Canyon Drive, then right on Geer Canyon Drive. If you want to start on the Picture Rock Trail outside of Lyons, take U.S. 36 through Lyons, turn left on Highway 7, a slight left on Old Saint Vrain Road, and left on Red Gulch Road. Mostly smooth and sun-baked, this trail system south of town is perfect for beginners, or anyone needing a two-wheeled dirt infusion when old man winter is wearing out his welcome. Along the way, you’ll enjoy sweeping views of Boulder’s mountain backdrop across the wide-open plains. There are many ways to string trails together. We suggest starting at the Marshall Mesa Trailhead and following the Coal Seam Trail to the underpass at Highway 93. Follow the doubletrack Community Ditch Trail to the intersection with Doudy Draw and turn left. This turns into singletrack and connects to the Spring Brook Loop, a fun, easy trail that’s best ridden clockwise. 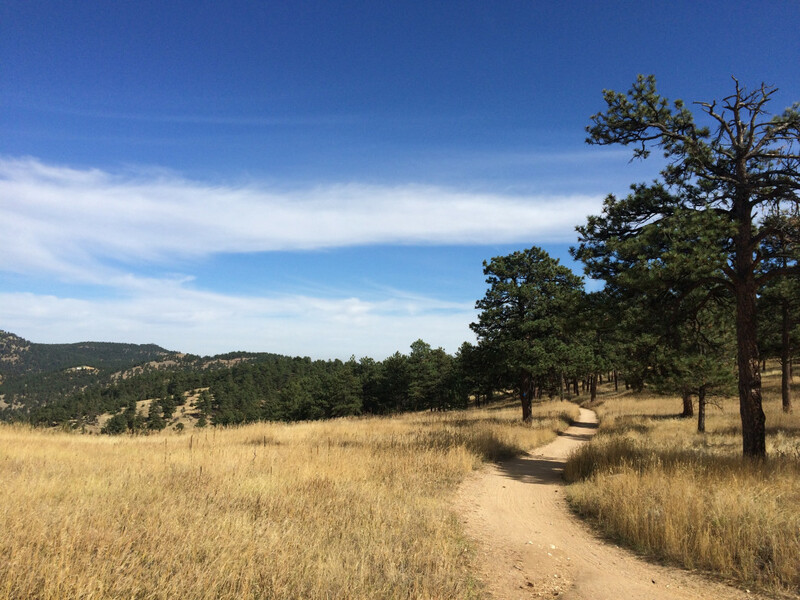 When you get back to the Doudy Draw Trail, turn right (not left) for a short, steep climb up to Flatirons Vista. Follow this down to the highway and cross 93 to hook up with the Greenbelt Plateau Trail, which leads north back to Marshall Mesa. All in, this is an easy 10.5-mile loop. To get to the Marshall Mesa Trailhead, drive south out of Boulder on Highway 93. At the intersection with Eldorado Springs Drive, turn left and the trailhead in on your right. Take a picture of the trailhead map before you head out since navigating can get a little confusing. The main attraction at Walker Ranch is a 7.8-mile loop that feels longer due to two big climbs and two big descents. You can ride it in either direction; try both and decide which way you like best. Either way, you face a portage along some steep stairs at the approach to South Boulder Creek. 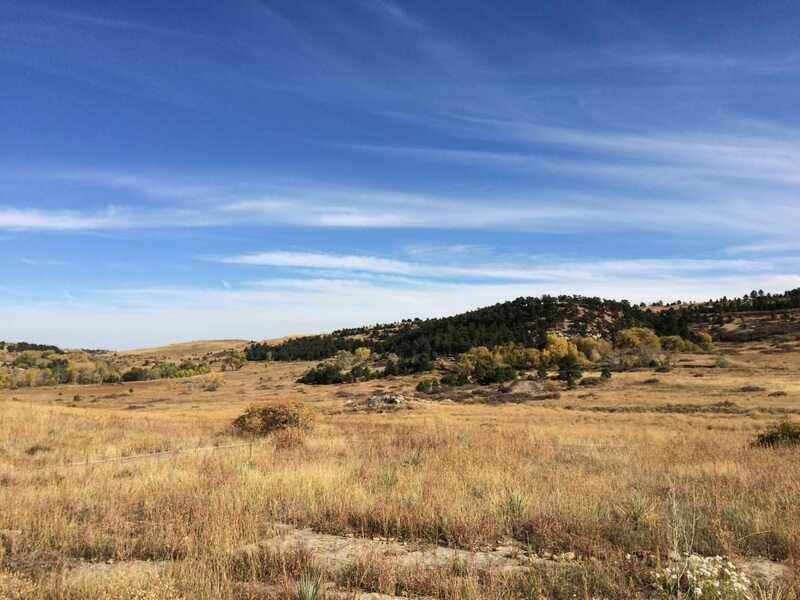 The terrain is classic foothills, complete with pine forests, rocky outcroppings, and open meadows. You’ll also roll through a burn zone, evidence of a 2000 fire that torched more than 1,000 acres. 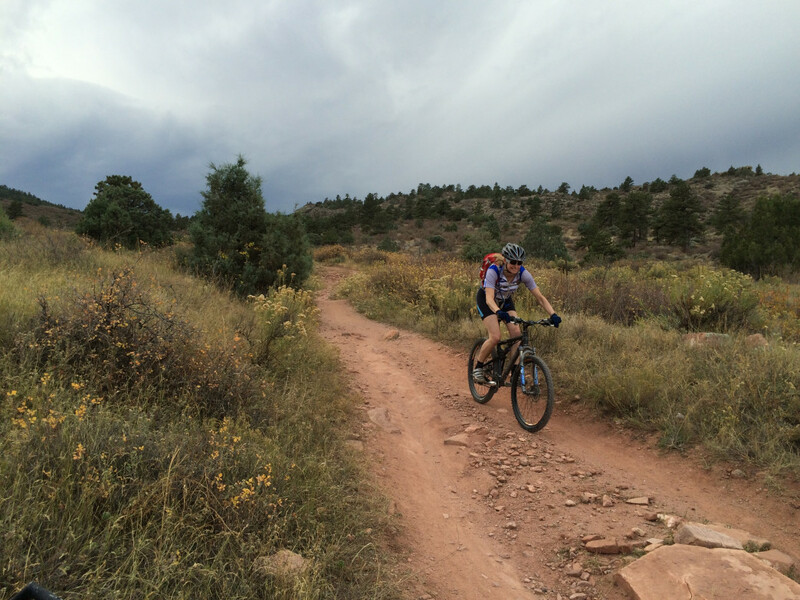 To get to the main trailhead, take Baseline west to head up Flagstaff Road out of Boulder. Follow this for 7.2 miles to the trailhead. If you’re riding counterclockwise, consider parking at the alternate Ethel Harrold Trailhead, which will split a monster climb into two. To get to this parking area, turn left off Flagstaff Road onto Pika Road (before the main trailhead). Continue on this to Bison Drive.